The 47 mm gun Hotchkiss, also named QF3 pounder in UK, is a naval gun produced from 1885 by the French manufacturer Hotchkiss. Originally it equipped ships for defensive firing against the attacks of the torpedo boats with a rate of fire of 20-25 shots /minute. The model 1902 is an improved version fitted with an improved recoil system with double shock absorber. 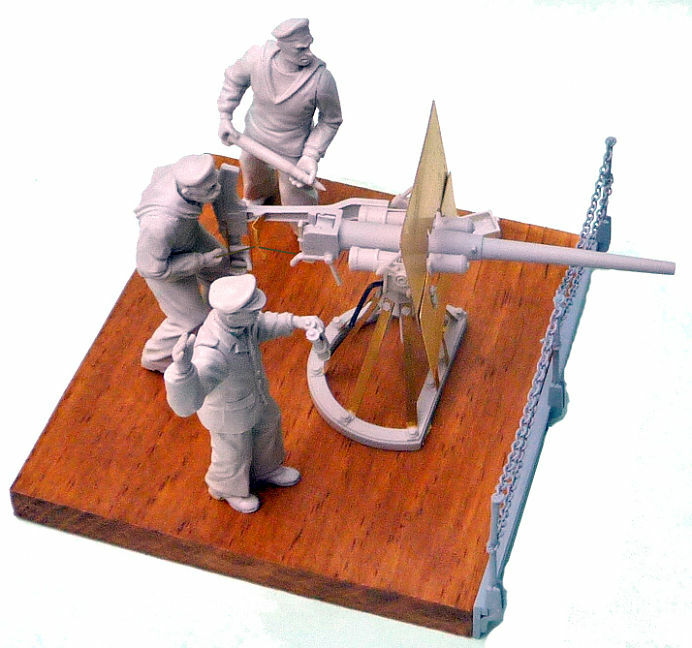 Present aboard numerous ships of the French Navy and the Royal Navy, it knew a great success at export by equipping all the western, South American marines and US NAVY at the beginning of the 20th century. Besides its naval use it was also settled in harbor for coastal defense. Widely used during the 1st world war, its use was extended to mobile artillery, being embarked on truck for the firing at ground targets or for AA role. In 1940 it was still in service in particular in small bunker of ligne Maginot for close defence; this gun was at the origin of the antitank gun APX SA34 and by consequence of guns equipping French tanks S35, B1bis. The model developed by AZIMUT is based on master parts made in high-definition 3D printing and molded in resin with a detail of an extreme sharpness. Its typical "crinoline" mount is reproduced as in the reality with legs in brass just like the shield realized in photoetching. 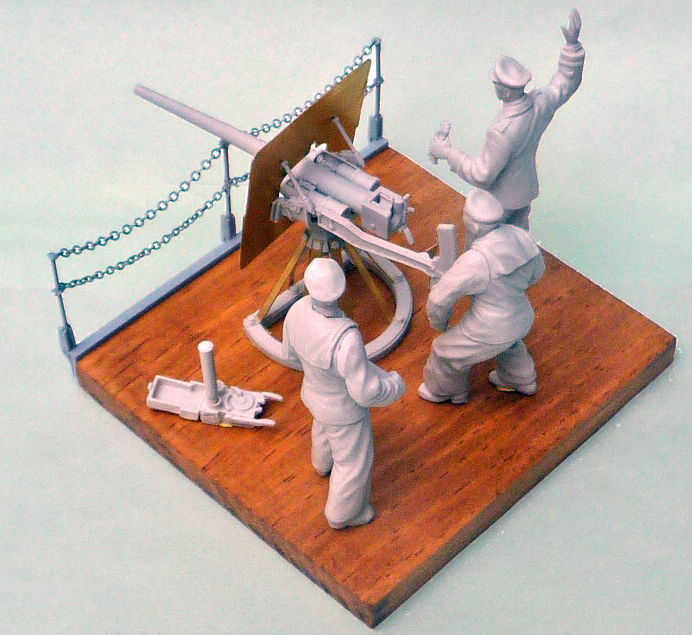 A set of plastic poles & metal chain is included to build a section of ship's railing as well as a crew of 3 figures featuring navy uniforms of early 20th century.